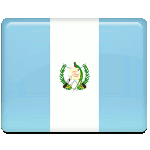 Celebration of Revolution Day in Guatemala on October 20 is connected with the events of 1944, when Francisco Javier Arana and Jacobo Arbenz Guzmán led military coup. Authoritarian ruler Jorge Ubico Castañeda was President of Guatemala from February 14, 1931 to July 1, 1944. He was forced to resign in response to a wave of protests and strikes, that were inspired by poor working conditions among the plantation workers. He was replaced by General Juan Federico Ponce Vaides, whose administration was even worse than Castañeda's one. He prohibited memorial services for slain revolutionaries and suspended the freedom of press. These led to general protests, that culminated on October 20, 1944. Major Francisco Javier Arana and Captain acobo Arbenz Guzmán lead a military coup, that overthrew Vaides. Around 100 people died during the coup, but they didn't sacrifice their lives in vain. A military junta, that led the country after the coup, made possible the first free elections of President of Guatemala. Revolution Day is marked by loud celebrations and fireworks. At the same time it's one of the days, when people of Guatemala gather for massive protests. Government of Guatemala tolerates these protests and regards Revolution Day as a “stress-reliever” for the nation, that comes back to daily work the next day.